4 min May 16th, 2018 Zamnesia's Amsterdam Coffeeshop Visits Tag along with the Zamnesia team on their Amsterdam coffeeshop tour, and discover ten coffeeshops that are not to be missed when visiting this beautiful Dutch capital. 7 min January 24th, 2017 Best Amsterdam Coffee Shops Of 2017 In this post, we take a look at the best coffee shops in Amsterdam - detailing what makes them so great and why you should visit them. 1 min January 3rd, 2017 Famed Cannabis Pioneer Franco Loja Has Died Aged 42 It is a sad day indeed; Franco of Strain Hunters, a pioneer of cannabis discovery, exploration, and breeding has unexpectedly passed away during an expedition to find new cannabis strains. 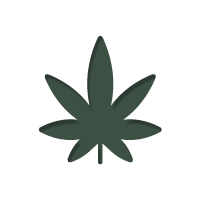 8 min September 8th, 2016 Regulated Cannabis Markets: A Look At Three Models Cannabis regulation comes in different forms throughout the world. We showcase Portugal, Netherlands, and Colorado in their approach to cannabis regulation.